Pictured left: Phillipe Starck’s Juicy Saliff designed for Alessi. Born in Paris on 18th January 1949, Starck’s passion for design started as a child. His father Andre Starck worked as an aeroplane designer and Philippe spent much of his childhood underneath his father’s drawing board dismantling objects and then putting them back together again in the form of complex machinery. He studied at the Ecole Nissim de Camondo School in Paris until 1968 when he set up his first business producing inflatable products. He then took the position as Art Director for Pierre Cardin in America but later returned to France and embarked on his first interior design projects by fitting out the Paris nightclubs “La Main Blueue” (1976) and Les “Bains-Douches” (1979). The company “Starck Product” was founded in 1979 and the project that was to launch Starck’s career to International success was when he was asked by President Francois Mitterand in 1982 to renovate his private apartments in the Elysee Palace. 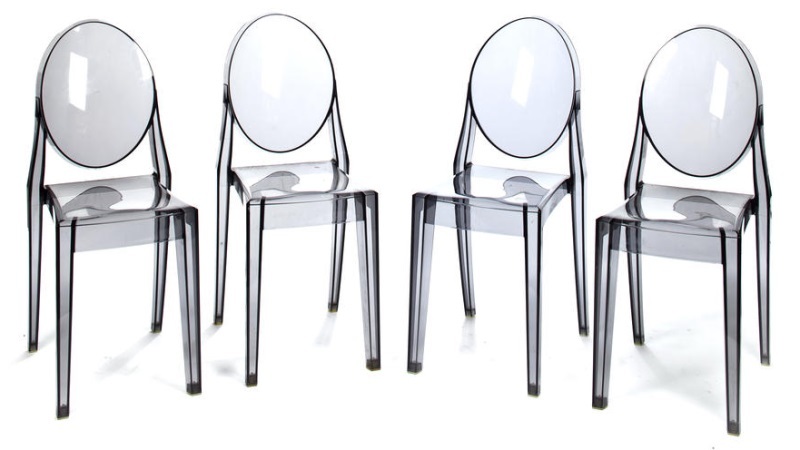 Pictured right: A set of four Victoria Ghost side chairs modern, designed by Philippe Starck for Kartell. Sold for $525 at Bonhams, May 2012. Image Copyright Bonhams. From then on Starck worked on numerous design projects that included the Café Costes, the Paris Eurostar Terminal and the Penninsula Hotel restaurant in Hong Kong. He created everything from the furniture to the design of the rooms themselves, one of his most talked about projects being the exclusive Sanderson Hotel in London where there are 150 Starck designed rooms. His creative touch is evident throughout the hotel where the design element used is “fun” and everything about this hotel screams enjoyment especially in the trendy “Long Bar” which features a row of Starck’s “eye” bar chairs. Pictured left: Dr. Skud, Fly Swatter designed by Phillipe Starck for Alessie and bearing his likeness. His design skills do not stop at interior projects and during the 1980s and 1990s he produced some innovative domestic designs for many companies, including a range of luggage for Samsonite, furniture for Kartell and lighting for Flos. From a collectors point of view it was whilst working for the Italian Design Company Alessi that Starck produced some of his most iconic work. 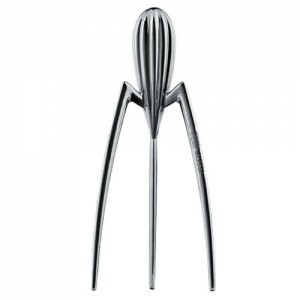 He began workingfor Alberto Alessi in 1986, creating everything from a toothpick to a fly swatter but the most famous visually recognised product that he produced was the futuristic silver Juicy Salif in 1990. This iconic lemon squeezer was made of aluminium casting and resembles a rather strange looking spaceship. So much so, that it was used in the film Men In Black starring Will Smith as an actual space ship with aliens leaving it. 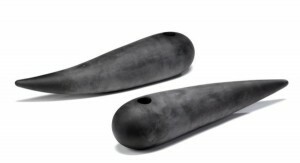 Other products that have become sought after by Starck for Alessi include the Cactus Ashtray made of bakelite in 1990 and the Dr Kiss toothbrush set designed in 1998. Alessi is the perfect place to start if you want to collect Stark pieces, as it is affordable for most pockets. Prices begin for as little as £13.99 for the toothbrush to £145 for a Dede Door stop; £12 for the “Dr Kleen” toothpick to £180 for a “Max le Chinois Colander”. It also a great point for learning about Starck and his designs, you can get a feel for his products before investing more money into his higher top of the range designs, such as the furniture and lighting. Pictured right: Philippe Starck for Daum, ‘The Curiosity’, a pair of glass vases 1988 – engraved 25/34 Daum Starck height 15cm x width 55cm. Sold for £1,560 at Bonhams, London, April 2007. Image Copyright Bonhams. Although Starck’s Alessi designs are affordable and fun he is better renowned for modernist contemporary designs in furniture, and working with the Kartell Company has allowed Starck to produce some of the most innovative and creative styles to date. The Eros Swivel Armchair designed in 2001 is the epiphany of modern design with its die-cast aluminium frame and polycarbonate seat, whilst the much-celebrated Louis Ghost Chair proves that traditional antique furniture designs can be revisited and adapted perfectly to fit into our modern lives. If you decide to buy a good example of Starck’s work for Kartell be careful because designs such as the Eros chair are being copied. The only way to recognise the copies is that they are made fractionally smaller than an original Starck design and of course are being sold much cheaper. An authentic Eros would cost around £260 so try and buy from someone that is a legitimate Starck retailer and can tell you about the history of the chair. Pictured left: Flos Bedside Gun Table lamp designed by Phillipe Starck. Aside from the domestic utilities and furniture Starck also designs items for the Flos lighting company, with one of the most controversial pieces being in 2005 when he created a hard-hitting gun lamp range. Amongst the designs were a “Beretta” pistol, “AK 47 Kalashnikov” and M16 rifle which were in the form of a floor lamp. Starck’s inspiration for these lamp designs were taken from the media pictures of Saddam Hussein’s gold-plated gun, which was recovered when America and its allies attacked Iraq. 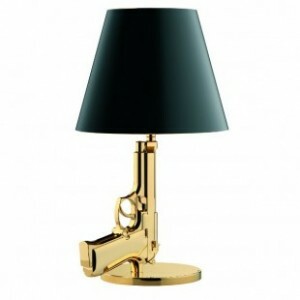 Each gun is coated in gold leaf and is paired up with a black lampshade, which signifies death. Small crosses line the inner portion of the shade reminding us that the next passing could be our own! As you can image this did not bode well when launched in Milan as some people took the belief that Starck was glorifying gun crime but in fact he was creating a memorial for those killed for political progress. 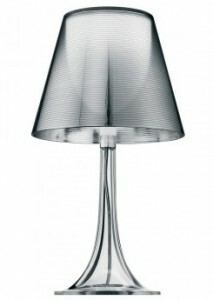 Whatever your opinion on this lamp, it’s a must have item for a Starck collector. Not all of Starck’s designs for Flos are such forceful political statements. The “Miss K” table lamp created in 2003 has become a modern classic which shows once again Starck’s vision for contempary practical designs. He is quoted as saying “A designer should always question the legitimacy of a product, what is the reason behind its existence and is it a good product that will stand the test of time and last.” This is evident in the majority of Starck’s work—he wants his designs to be used and enjoyed, not just left in a corner to be admired. Pictured right: The “Miss K” table lamp created in 2003. Starck is said to produce in the region of 150 drawings per day for his team to work on and is never without new ideas. 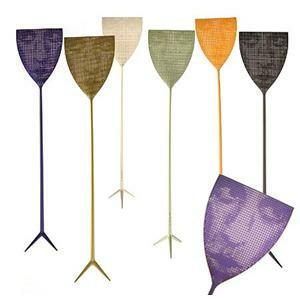 A radical designer, he is often compared to Andy Warhol and his pieces have become extremely en-vogue at the moment with people starting to appreciate design in their homes more and more and investing good money on modernist desirable items. His vision has given us simplistic stylish design, from the humble toothbrush to some of the most innovative creative pieces of furniture that sit well in today’s environment, but it is important to realise that design is all about expression. These pieces—may they be by Starck or another designer—show the true beliefs and feelings of the person behind the ideas.